Inflatable canopy - Serpentine Gallery Pavilion 2006. 2006 was co-designed by Pritzker Prize-winning architect Rem Koolhaas and innovative structural designer Cecil Balmond. 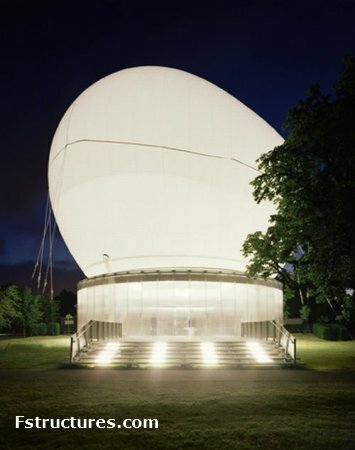 The centrepiece of the design was a spectacular ovoid-shaped inflatable canopy that floated above the Gallery’s lawn. Made from translucent material, the canopy was raised into the air or lowered to cover the amphitheatre below according to the weather. A frieze designed by Thomas Demand marked the first collaboration between an artist and the designers of the Pavilion. Request for inflatable hangars - USA. We are proud to be an authorized representative of ASATI air structures and sports domes. ASATI has been the industry leader for over 45 years! We will work with you every step of the way on your next project. Don't be deceived by imitators! Our patented Bias Cable Net System is what other air structure companies often try to duplicate. With over 5000 air structure and sports dome projects completed ASATI has blazed the trail in the air structure business. Compare our air supported structures to the cost of brick and mortar buildings and you will see that dollar for dollar there is no comparison. Air structures are much more affordable and the clearspan, open air space that they provide is an experience that has to be seen to be believed. 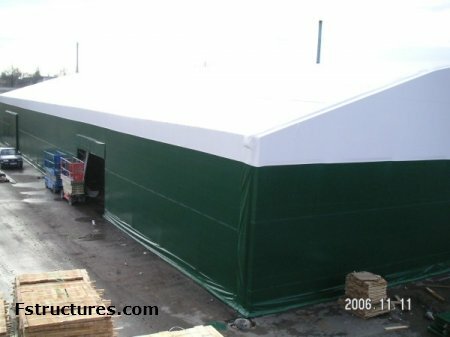 Request for portable aircraft hangar from México. Air-supported structure to United States. 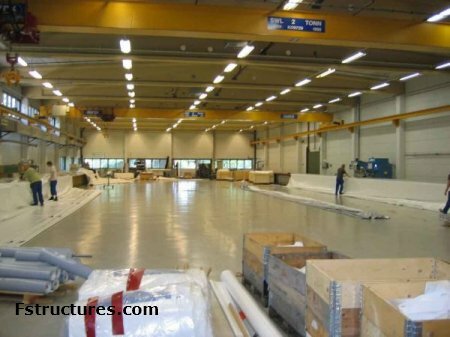 Request for temporary hangar from India. Temporary hangars from Vingida Ltd. Enjoying the possibility to receive comments and critics on our product range together with opportunity to discuss specifics of PVC covered hangar type structures we’d like to present another project accomplished by our company.